Greetings from Olympia! This week has been busy with meetings and hearings. I have been very hard at work for the 8th Legislative District during this 105-day session. I want to share information on a bill I’ve introduced that would give local governments the ability to build “business ecosystem” areas to stimulate economic development. I’m pleased to report that yesterday my bill won the endorsement of the Senate committee on economic development and trade. 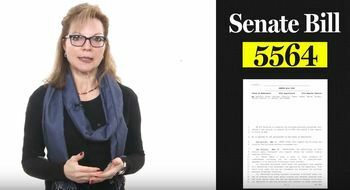 Senate Bill 5564 would create and finance local public-improvement projects aimed at encouraging economic development or redevelopment. As part of the program, a sponsoring local government – a city, town or county – designates a local renewal area. Increases in revenues from local sales, use and property taxes within that designated area are measured and used to pay for public improvements. At a time when there aren’t many tools in the local economic-development box, this proven method that used to be in state statute, should be reinstated. I don’t need to look any further than the Southridge Revitalization Area and Richland’s Preferred Freezer Services to see how this program can benefit a local economy. Together these projects have created over 1,000 family-wage jobs and generated millions of dollars in revenue. 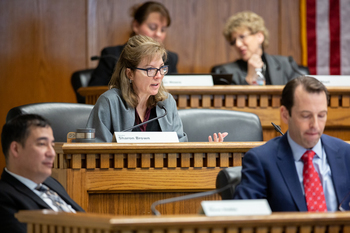 Check out my legislative update where I’m joined by leaders from the Tri-Cities as they came to Olympia to testify on Senate Bill 5564. Will you be coming to Olympia during the session? If so, contact my office and schedule an appointment – I would love the opportunity to visit with you, and, if the time is right, you could join me in my next video update! Click to watch this week's video update! As always, I value hearing directly from you. I am here to be your voice, and your feedback on bills before the Senate is very important to me. If you would like to contact me please write, phone, e-mail, or stop by if you’re in the Olympia area.